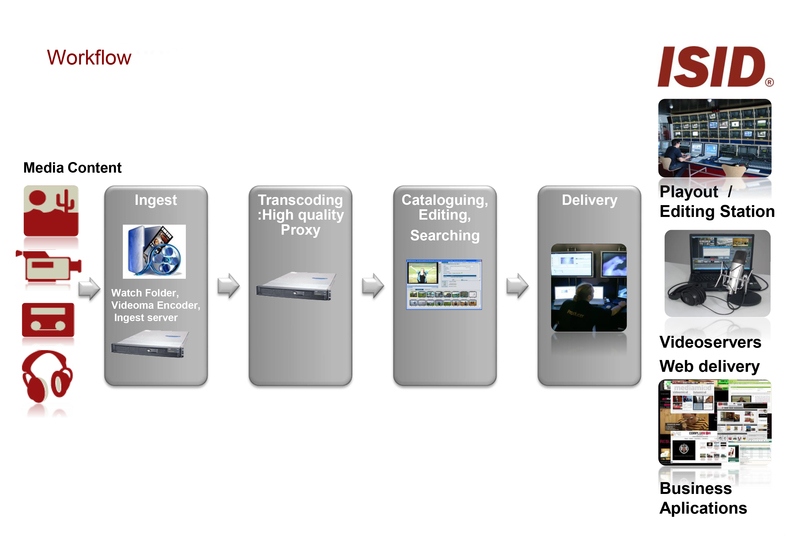 Videoma is a complete Media Asset Management (MAM) platform developed by the Spanish company ISID. Videoma provides management systems for Multimedia Content such as video, audio and photos and is able to monitor and record the video and audio streams. ISID’s solutions are currently being used in all kinds of sectors, from broadcasters, media, governments and public administrations, corporations, education and health corporations, to the most demanding security companies. Videoma Solutions can be easily integrated within other systems, therefore serving as back office of WEB VoD as the support system for Media for Content Management Systems or Big Data among others.